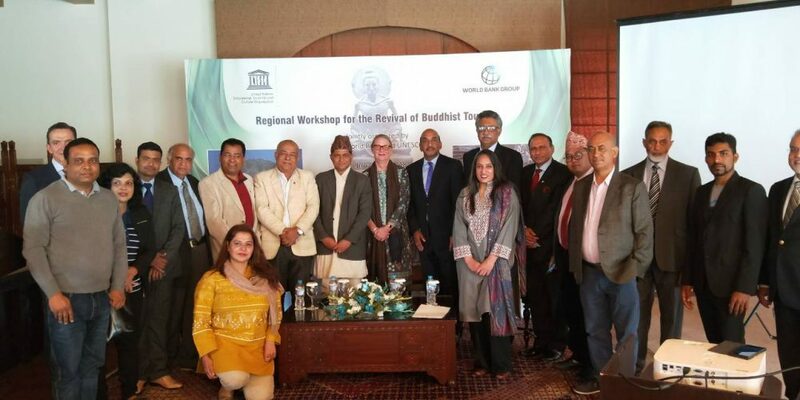 KATHMANDU, Feb 26: The World Bank and UNESCO have jointly organized a workshop on the theme "Regional Workshop for the Revival of Buddhist Tour" comprising of tourism stakeholders, tour operators, archaeologists in Pakistan in a bid to promote Buddhist sites. The meeting had the participation from Nepal, Sri Lanka, Bhutan, and India which was also a platform to exchange and share the tourism products of the countries. The participants also had sightseeing of Buddhist and archaeological sites of various cities of Pakistan. NATTA 1st Vice President, Mr. Achyut Sharma Guragain participated in the week long program. Mr. Guragain also had an opportunity to meet with Travel Agents Association of Pakistan (TAAP) which was fruitful to establish a friendship and cooperation between two associations.